The manager at hotel in Rancho Bernardo with a swimming pool contacted our office. Through our website they invited us to submit our bid for a new pool heater. Our estimate was to include parts, labor and warranty. 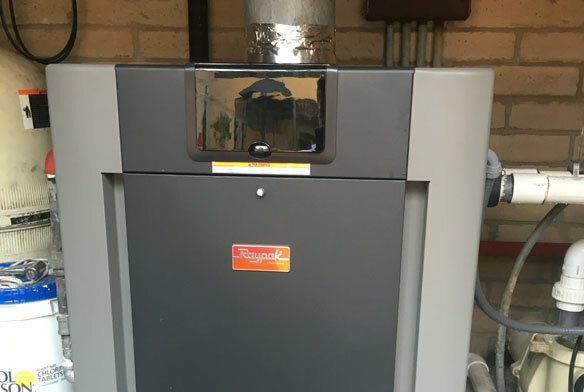 We quoted the installation of a Raypak Heavy duty ASME 406,000 btu commercial heater. 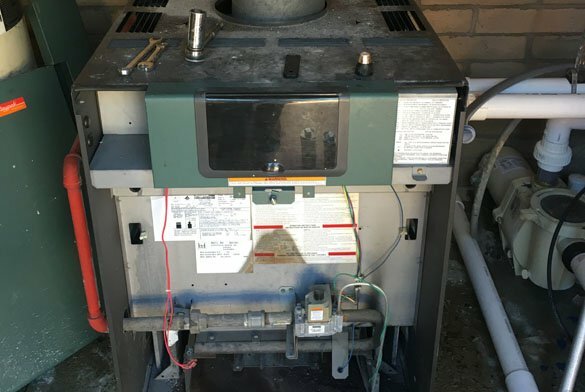 The pool heater was located in an indoor pump room and had a vent stack for proper ventilation. An option to repair the pool heater was given to the hotel manager. They did not want to risk having the heater down in the future. Therefore after receiving the estimate, replacing the old heater was decided upon. A new Raypak 406A asme pool heater was to be installed. The asme pool heater has a cast iron header which makes it legal to install on a San Diego commercial pool. ProTouch Pool Services began the removal of the pool heater by turning off the power. We then removed the gas line, electrical and plumbing. The draft hood was also removed during the heater removal. Once completely removed the area was cleaned. Recycling the heaters we remove is always a top priority. The new commercial swimming pool heater was then installed. The indoor vent stack was attached to the heater. Gas line, plumbing and electrical were attached as well. Power was turned back on and the heater was turned on. The atmospheric pool heater ran perfectly and quickly began heating the pool water. The hotel manager was glad to have the pool heater working again. Pool heater maintenance was then offered to management. 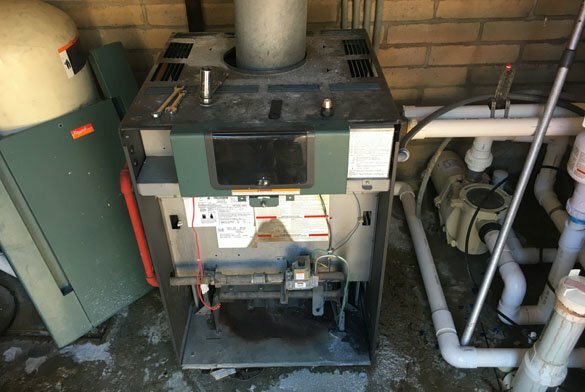 Annual inspection of the heater is important to extend the life of heaters.